The Cousins. The three du Pont cousins were childhood friends, but unlikely business partners, as different as any three people could be. The oldest, Thomas Coleman du Pont, who went by his middle name, was a big, athletic man—a loud, ambitious, self-confident, back-slapping extrovert. “Cousin Coly,” they called him from childhood days. Despite his attitude, Alfred always retained prestige in the family as the first son of the first son ( Eleuthere Irenee, II) of the first son (Alfred Victor) of Eleuthere Irenee du Pont, the company’s founder. Heritage was important in French families. The youngest by six years was Pierre Samuel du Pont (See 9/25/2012 posting), shy, non-athletic and klutzy—the antithesis of Cousin Coly—but studious and responsible. Pierre’s school headmaster called him “Gravestone” for being so somber. Since the age of 14 he had been the guardian for his widowed mother and his 9 younger brothers and sisters. They called him “Dad” for the rest of their lives. As among any cousins, differences in age made a lifelong difference in their relationship, long past any relevancy. The Company in Trouble. Early in 1902, when the cousins were in their 30s and already had their individual careers, the DuPont company founded by their great grandfather was about to go under. It had been a family business controlled by the older du Pont family members, and the president, Eugene du Pont, 61, suddenly died. His designated successor, vice-president Francis (Frank) Gurney du Pont, 52, was too sick to take over and died himself two years later. The younger du Pont members had not been trusted with authority, and no one else was qualified to run the company, nor did any want to. Those with ambition had already moved on with their own careers. The company’s best days appeared to be over. The antiquated company had been inefficiently run with all decisions made by the president who was also the head of the family. (The mansions, horses and carriages of the du Pont families were communally owned by the company and allotted by need and status. The servants were employees of the company.) Their only product was old-fashioned black gunpowder. No wars were on the horizon (WWI was unimaginable), and the other use for gunpowder, clearing the land, was mostly complete. The new technology was in the nitrated high explosives—smokeless powder, nitroglycerin, and dynamite—but this had bypassed the conservative DuPont management. The Meeting. The company decided their best option was to sell out to their long-friendly competitor, and they called a meeting of the senior officers to confirm the sale. Alfred, in typical Alfred fashion, arrived in the boardroom dressed in the dirty work clothes he wore in the powder yard. Near the end of the discussions, he dramatically announced he wanted the company to remain in the family, and he would match any other offer. All he needed was a week to work out the finances. Many doubted Alfred could pull this off, but a week’s delay was not much to ask, and the stockholders, all du Pont family members, wanted this, too. The meeting was adjourned without ratifying the sale. Alfred had no business experience, so he immediately asked Coleman, who was managing several of his successful companies in Kentucky, to come back to the family business as president. Alfred would be vice president. Coleman, wary of Alfred’s rebellious streak and knowing his dislike of business, agreed on the condition that Pierre, who he knew to be reliable and with financial experience, would be the treasurer. After only a brief 3 minute phone call, Pierre joined them as the third member of the team. For all of his faults, Alfred was the only one bold enough to step up to save the company. He recognized his own limitations and was willing to accede to Coleman. Coleman, in turn, recognized the value of Pierre’s intelligence and stability. In Control. The stockholders agreed to the exchange. Once in control, the cousins quickly set up a modern management system and instituted much-needed efficiencies. A thorough audit found the company’s assets were actually worth $14 million, so they had already made $2 million on the deal (worth about $50 million today). The Split. By 1915, Coleman wanted to move on and needed cash for his other investments. Speaking to Pierre late one afternoon, he offered the sale of his stock to the company for $160 a share. (He later went into politics, serving two terms in the U.S. Senate, and became part owner of several hotels, including Philadelphia’s Bellevue-Stratford.) When Pierre told Alfred of the offer, Alfred reacted positively, but soon wrote that he thought $160 was too high and $125 a share was more reasonable. That was the start of a life-long split between the two cousins. Alfred assumed the offer was only the first round of continued negotiations with the company. Pierre took it as a rejection and the stock was up for grabs for anybody to buy. Pierre quickly and quietly bought the stock for himself at the asking price of $160 a share, thereby becoming the primary stockholder and the one in charge. Alfred bitterly complained that the sale was offered for the company to consider and that Pierre used the credit of the company to borrow the money for the purchase, but the deal was already done. Pierre reorganized the management such that Alfred was still a vice president, but with no duties or responsibilities. Alfred quit the company in a rage and moved to Florida, fuming and trailing lawsuits. But he still had DuPont stocks and bonds worth about $100 million in today’s dollars. The Florida real estate boom had recently gone bust, and Alfred was able to scoop up large tracts of cheap timberland in the Florida panhandle that eventually became the St. Joe Paper Company. Both cousins profited, but the rift was about control, not money. General Motors. Pierre transformed the DuPont company into the modern, diversified chemical company it is today. Early on, he invested both his own and the company’s money in General Motors stock to insure a customer for their chemicals and soon became the controlling shareholder. In 1920, GM was in danger of failing, and to protect his investment Pierre had to take control of them, too, forcing out the founder, William C. Durant. (His middle name was “Crapo.”) Once Pierre brought the company back on its feet, he appointed Alfred P. Sloan as the competent president and left. He had no desire to run a company on a daily basis, but he did not hesitate to step in and clean house anytime his investments were threatened. Pierre’s takeover of GM was a big step for him that he handled excellently. At Dupont, he was dealing with family; at GM he was dealing with strangers with very different backgrounds. Corporate Structure: Pierre grew up in the age of entrepreneurs, such as Henry Ford, George Westinghouse, and John Rockefeller. These entrepreneurs were good at starting new companies with their new ideas, but not so good at efficiently running the mature companies on a daily basis. The hierarchical structure of corporations that we take for granted today (presidents, vice presidents, directors, managers, supervisors, and workers) did not exist back then. There was only the founder and everyone else. Every trivial decision had to be approved by the founder, who had to be knowledgeable in all areas. Even worse, if the founder died or became incapacitated, the company came to a halt and often failed. Pierre saw this problem in his own family’s business and became one of the earliest adopters of the corporate structure that is universal today. Divide all of the areas of knowledge that had been needed by a company president—such as legal, personnel, sales, and manufacturing—and hire one expert for each. Give them a department for support (that could also be further subdivided). The president then only has to coordinate their efforts and plan for the long term. Not only are these individual experts better able to keep up with the increasing complexities of their specialties, but if any one of them dies, they can be quickly replaced without the entire company grinding to a halt. Often, their own department can supply at least a temporary replacement. No one, not even the founder, is indispensable. Modernizing the corporate structure is one reason Pierre was so successful wherever he took control, an often overlooked contribution that influences all of us today. Longwood Gardens. By the middle of the 1920s, the shy and unassuming Pierre had rescued both the DuPont company and General Motors. 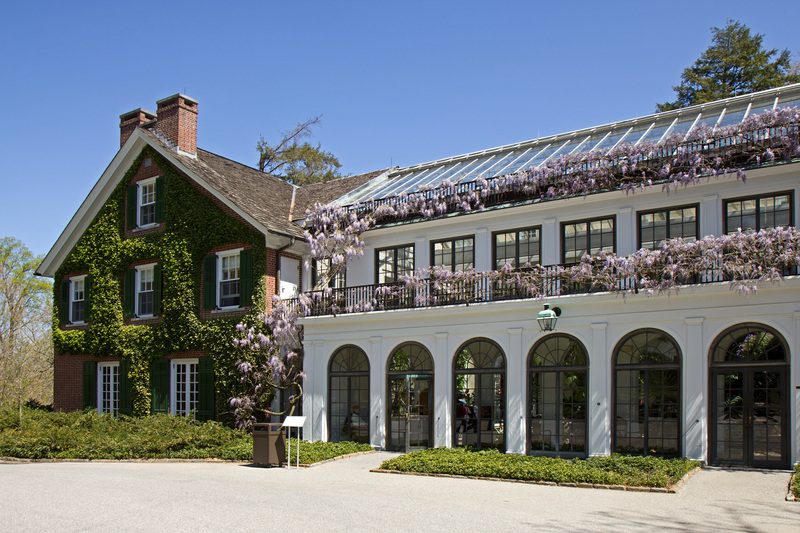 With their future in good hands, he could devote his time to developing Longwood Gardens. Pierre’s split with Alfred never healed, but when Alfred died in 1935, Pierre was seen to slip quietly and anonymously in the back of the funeral service for his cousin and boyhood friend. This entry was posted in du Pont History and tagged Alfred I. du Pont, American history, General Motors, Longwood Gardens, Pierre S. du Pont, T. Coleman du Pont. Bookmark the permalink.